We're now firmly in the latter-half of the week. The weekend will be here soon. And, with it, I hope you have some gaming prepped. I do. Other than that, we'll just have to see. 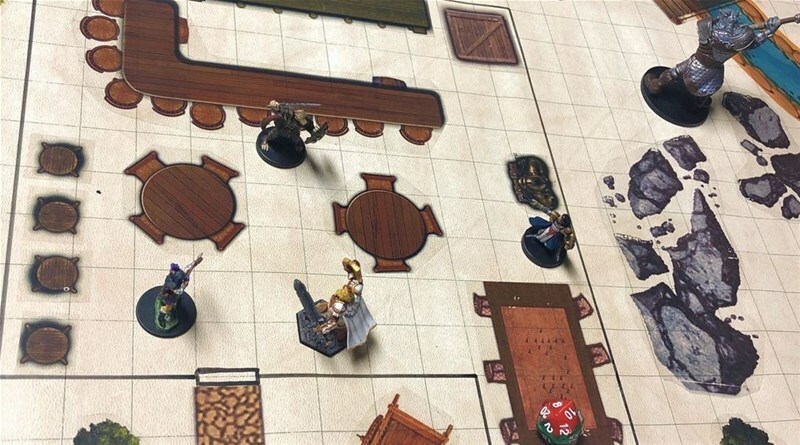 As for said gaming, you'll want your gaming tables looking good, and we're here to help with that. 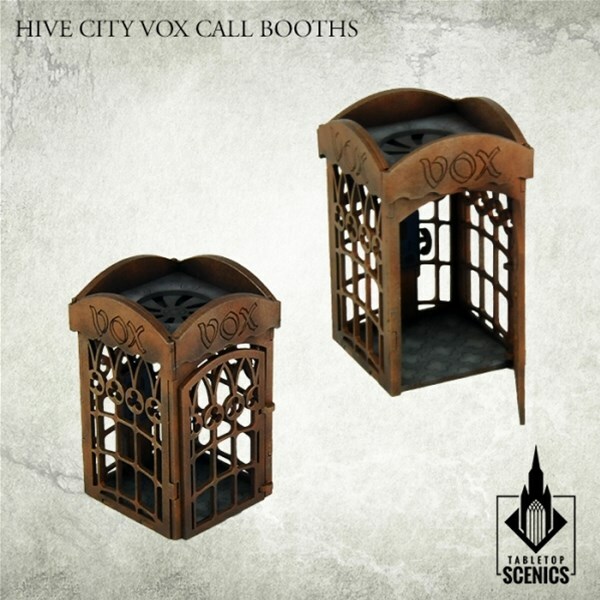 Today in the Terrain Corner we have: Hive City Vox Call Booths Available from Tabletop Scenics, Static Cling Terrain Up On Kickstarter, and Magnetised Wargame Terrain up On Kickstarter. Contents of this frames may be used to make two Hive City Vox Call Booth structures. Once we raise the funds needed we can hire our graphics artist to design each pack. We will work painstakingly to bring the very best looking terrains, interior items, foliage all the way down the last brick in that creepy dungeon corridor. Next we will be testing materials that will look the best and have the longevity needed for hundreds of scenarios. We will only bring you the best the industry has to offer in vinyl materials. Next is packaging to keep your decals safe and in great condition for purchase. Finally a great website to provide the world with these amazing packs as well as marketing to the major suppliers of RPG game gear as well as the small shops that we all love to stop into and support. The starting point for the Battlefield range of Magnetronic Terrain is our walls. Like the majority of the range, the walls snap together allowing easy construction of you tabletop battlefield. With a mixture of straight sections, corners, gates, and end pieces, it is possible to construct enclosed compounds and perimeters for your games.